As lawyers for Michael Cohen gathered in a downtown Manhattan courtroom on Friday afternoon to dispute federal prosecutors’ right to access records seized during a raid on their client’s home and office, a different sort of gathering was underway in Manhattan’s Upper East Side. Michael Cohen, center, chats with friends near the Loews Regency hotel on Park Ave, April 13, 2018, in New York. Two of the men appear to be Rotem Rosen and Jerry Rotonda. ABC News was not able to identify the other men pictured. 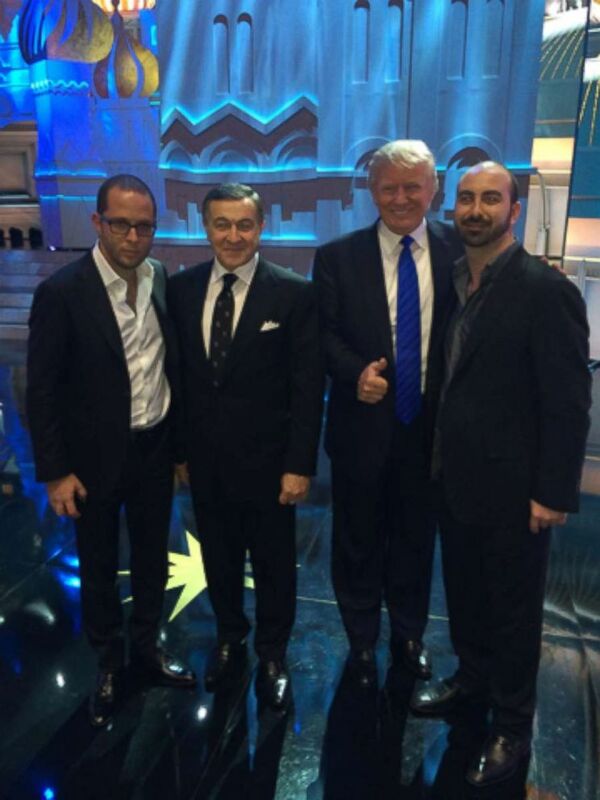 Rotem Rosen, Aras Agalarov, Donald Trump, and Alex Sapir at the Miss Universe Pageant in Moscow in 2013.